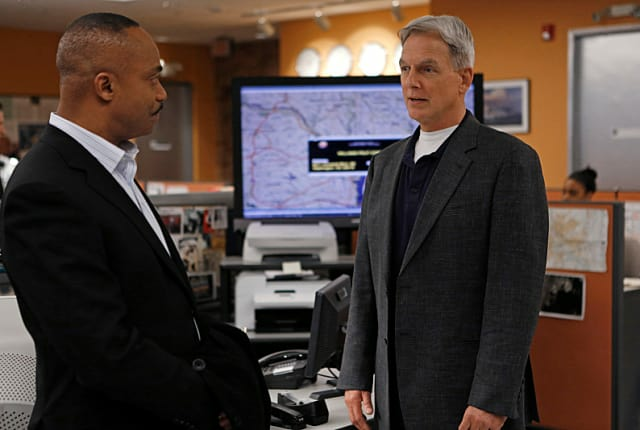 Watch NCIS Season 10 Episode 23 online via TV Fanatic with over 7 options to watch the NCIS S10E23 full episode. Affiliates with free and paid streaming include Amazon, iTunes, Vudu, YouTube Purchase, Google Play, CBS All Access, and CBS All Access (Via Amazon Prime). A Department of Defense investigator scrutinizes the NCIS team's response to the Bodnar case involving the murder of Ziva's father and Vance's wife. I knew that guy was trouble. He's like an evil McGee. Permalink: I knew that guy was trouble. He's like an evil McGee. What makes you think I'm going after Ziva? Permalink: What makes you think I'm going after Ziva? NCIS Round Table: "Double Blind"
NCIS Sneak Peek: This is Fun!